Ryan Hemphill created a new topic ' Looking for LR4 Stock wheels......' in the forum. Amyone have any LR4 wheels that have minimal dings in that they are looking to sell? I need to replace 2 wheels, I have 2 that are pretty dinged up and will not balance well. Please contact me directly. 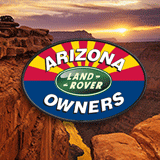 Ryan Hemphill replied to the topic '1996 land rover discovery for sale' in the forum. How much are you asking for it? Is it running and safe? Ryan Hemphill replied to the topic 'Looking for unused parts for Disco 1' in the forum. Thank you Cory I might take you up on that. Ryan Hemphill created a new topic ' Long Heavy Duty Rear half shaft for Discovery 1 needed...!!!!' in the forum. Yes I have snapped my Disco 1 rear half shaft, yes the long one again. Does anyone have one they would part with, I am willing to pay bottom dollar....lol.